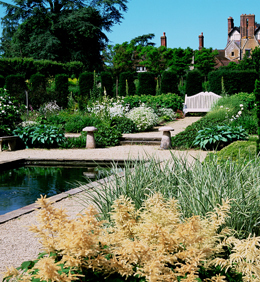 Historic and atmospheric Loseley offers magnificent gardens, lovely grounds, excellent lunches, teas and shop. House filled with wonderful paintings, furniture and panelling. The Loseley Estate was acquired by direct ancestors of the current owners at the beginning of the 16thC and Loseley House was built in the 1560s for Elizabeth I to stay in.